It’s easy to dismiss his small sample HR/FB rate because we know about things like small samples and what stats are most affected by them. However, a major league pitcher will probably tell you they bear some responsibility for the outcomes in individual games. With that in mind, let’s see what each of these home-run pitches looked like. Here’s a pitch that ran right into the lefty-clobbering zone. McCarthy is trying to paint the inside corner with that sinker, but it leaks a bit too far over the plate. Here we have a pitch that flattened out up over the middle of the zone. Cuddyer took it out to the opposite field and the ball had just enough juice to clear the wall. If Cuddyer’s home run just barely cleared the wall, oh my. 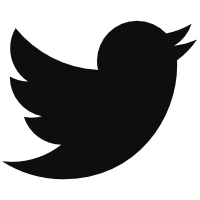 Let’s turn to the slow-mo. So like with Cuddyer, this pitch was thrown to a bad location. It’s catching way too much plate. Yet this particular mistake was very nearly an out. You can see in the second GIF that Parra catches the ball and then loses it when he his glove hits the wall. Tough break. Another pitch flattening out at the top of the zone. Whatever he’s trying to do to Arenado with these high pitches is not working. The pitch location looks fine considering it’s the first pitch of the at bat. 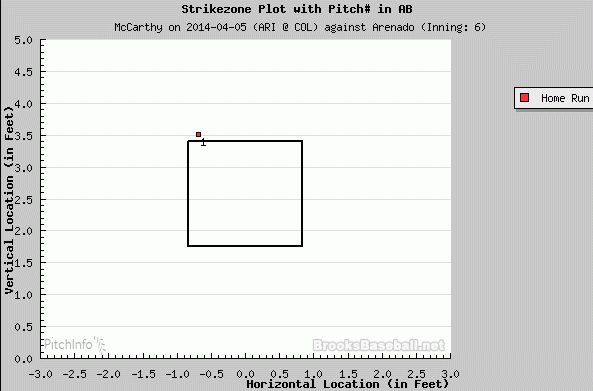 I think McCarthy was trying to run it back over the plate like with the Belt home run [above], but his main goal is probably to get to an 0-1 count. Gonzalez drops the bat head onto the sinker, and it flies out of the park. 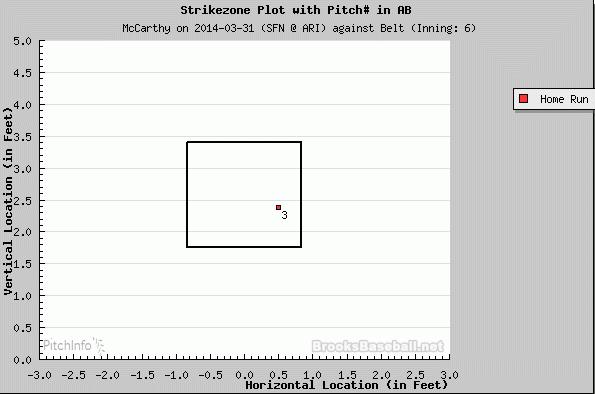 In this case, I think McCarthy made a good pitch and got beat by a good hitter. So there we have it, five home runs. At least three of them were mistake pitches, perhaps all five. The most obvious mistakes occurred at Coors Field. The Rockies’ home field has a way of getting into a pitcher’s head, and the rarefied air can hamper pitch movement, too. The other problem area is with low-and-in sinkers against lefties. Both Belt and Gonzalez took that classic lefty swing and drove the ball deep and gone. The good news for McCarthy is he’s rolling ground balls like a champ (63.8 GB%). It might be his new found velocity helping his sinker, or he could regress back to his career averages. His xFIP is a lovely 3.34, and he’s never been particularly home run prone. Better days are probably ahead. We hoped you liked reading Long Balls Plaguing Brandon McCarthy by Brad Johnson! And the fact that – despite his saber-friendly approach – he isn’t any good and hasn’t been for quite some time. Quite some time? He pitched over 280 innings in 2011 and 2012 and had a combined ERA of 3.29. That’s not that long ago. Did you just use ERA to argue that a saber-savvy pitcher is good? To your credit though, McCarthy’s xFIP has been 3.30, 4.23, 3.77 since 2011; a bit of volatility there but overall he seems like a solid pitcher. Well, I was responding to someone who evidently has not looked at McCarthy’s stats in a long time if they think he hasn’t been good. So I thought I would start with the basics. Forgive me. In a very pitcher friendly park. He should have stayed with Oakland for less money rather than go gold digging in Arizona. Yeah, you’re right. He probably should have stayed in Oakland to keep his peripherals down rather than go somewhere else to make more money because that’s what you would do. As a matter of fact, I would. What is a few extra million? Would you rather have that or pitch for a winning team? Gold digging? Jesus. Get over yourself. No, we can’t admit we were wrong and maybe overstating our case just a tad. DOUBLE DOWN! I believe McCarthy has been making his home in Arizona since before he was a Diamondback. At least that was the impression that I got. To be fair, we’re talking about a pitcher who has had an xFIP under 3.77 (His second best) once in any meaningful sized sample (This year is only 19.2 innings), has a career 4.24 xFIP to go with a 4.19 ERA and a 4.15 FIP and has had a long list of injuries not related to fluke getting hit on the head. I don’t think it is all that unfair to say McCarthy isn’t all that good when he posts very average FIP/xFIP numbers (xFIP- of 101, SIERA of 4.31 career) while being injury prone. So your argument is that he’s neither good nor bad. That’s fair. I’d say he is slightly below average: He pitches like an average pitcher but is more likely to miss time than an average pitcher at this point in his career, so he is slightly below average (to me). Not terrible, though.